Renton, WA WW/Press/November 9, 2015 –Cornelia Clark, Attorney, with the Law Offices of Cornelia Clark, was selected for inclusion in the forthcoming Top Attorneys of North America 2015-16 edition of The Who’s Who Directories. The accomplishments attained by Ms. Cornelia Clark, in the field of Legal Services, warrants inclusion into the Top Attorneys of North America. Since 1998, the Law Offices of Cornelia Clark have been handling Collaborative Family Law, Family Law, and Personal Injury Law issues for their clients. On the family law side of business, they handle collaborative law cases in which both parties commit not to go to court, but to resolve all issues. Their cases range from divorce to legal separation, all the way to adoption. They have also handled numerous personal injury law cases involving auto accidents, motorcycle accidents, pedestrian accidents, work related accidents, and accidents on public or private land, to name a few. Ms. Clark is a sole practitioner, priding herself on offering personalized attention to each clients. 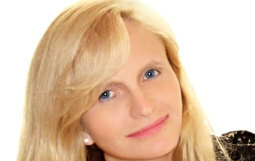 She is devoted to making herself available and accessible to each of her clients, and providing them with high-quality legal advice that is tailored to his or her unique circumstances. She has been practicing law since 1988, starting out practicing in South-Africa for the first 8 years of her career. Ms. Clark received her B.A. in Law and her L.L.B. from the University of Stellenbosch in South Africa. She is a member of King County Collaborative Law, Washington State Bar Association, International Academy of Collaborative Professionals, Renton Lions Club, and South King County Collaborative Law. Ms. Clark is very involved in the community. Lions International Foundation has honored her with the Melvin Jones Fellow for dedicated humanitarian services. In 2015, she received the Golden Acorn Volunteer of the Year Award. 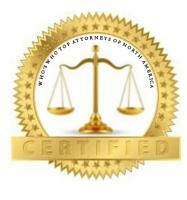 Be the first to comment on "Top Attorney – Cornelia M. Clark"